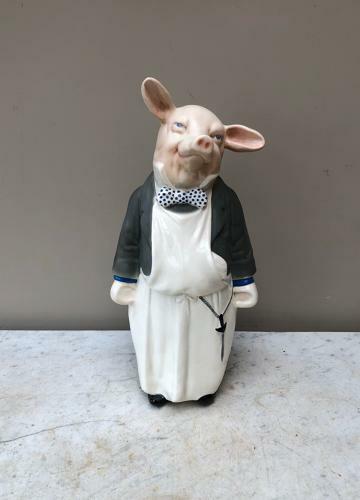 Just superb condition Mid Century MELBA WARE Butchers Display Pig. Made by H Wain & Sons and the Melba Ware Stamp is 1940-1980 it looks c.1950-60 to me. No chips, no cracks and no restoration. I bought it from the Butcher who had it in his Lincolnshire Butchers Shop...he retired in the 1980s and it has been in storage at his since then. It has been so well looked after it couldnt be posted so I met him today and he handed Mr Pig over to me safely.